Hello Everyone! Star Voyage, the foundation pieced quilt is finished! I love this 40″ x 40″ wall hanging! I started it in June at my guild’s Foundation Paper Pieced Workshop with David Gilleland of Vector Quilts. Star Voyage is one of David’s designs. He also has other stunning designs on his website. I’ve done very little foundation paper piecing (FPP) before this and what I had done, I just winged it. Star Voyage is a beginner FPP design and David did a great job of taking us through all the steps and techniques for the piecing process. Because we were in the summer, Fourth of July time frame, I thought a red, white and blue quilt would be appropriate. The fabrics are Moda Grunge Peacock Blue, Moda Marbles Hot Red, Moda Bella White, Moda Little Ruby by Bonnie and Camille, and Moda Sunday Drive by Pat Sloan. I love the contrast in the colors and the white space left some great areas for quilting. I pieced and quilted Star Voyage with Aurifil 50 wt thread and used two layers of Quilter’s Dream Select batting. Before I started quilting, I took a few days to work on the quilting design. I’ve started printing a full page low ink picture of my quilts. I still have the colors, but I can clearly see the designs that I’m drawing. When it’s time to mark the top, I like to use a Hera marker by Clover if I can, then use a disappearing pen just before I quilt if I need to mark connecting dots on the quilt. The Hera marker is great for marking lines. As you can see in this picture, I changed my thread colors for each fabrc color. I tried several neutral colors of thread, but because of the high contrast in colors, nothing looked good except matching colors. I am really pleased with the progress I am making on quilting the swirls. They do not come easy for me. Some designs I pick up right away, but for some reason the swirls have been a struggle. I have several quilting books and I found a swirl hook design by Angela Walters in “The Ultimate Guide to Machine Quilting” by Angela Walters and Christa Watson. I followed the diagram and practiced over and over on paper. Other quilting designs are Ribbon Candy, Wishbone and free motioned narrow straight lines. Before I did any free motion quilting, I used the Westalee Ruler foot on my Pfaff QE 4.0 and my straight Westalee Ruler to quilt all the straight lines in the quilt. Then, I switched to the free motion foot and did the rest of the quilting. The backing is this Basic from Bonnie and Camille. I debated over using the red or blue for the binding, but I’m glad I went with the blue. Star Voyage will hang in my foyer until it’s time for fall decorating. And because the outer border looks more British (think Union Jack flag) than American to me, I had to get a picture of it with the British Hawker Hurricane around the corner. Yesterday, I did a fabric pull for August’s Minis and More Parade mini or minis in this case. The fabrics are from Corey Yoder’s lines Sundrops, Lulu Lane and Pepper and Flax with a few matching Bella solids thrown in. The pattern we are using this month is Barn Charm by Christine Weld and can be found here. The minis are inspired by barn quilts and finish about 14″ x 14″. You still have two weeks left if you want to join in the parade. You can check out all the details on Sherri’s site. 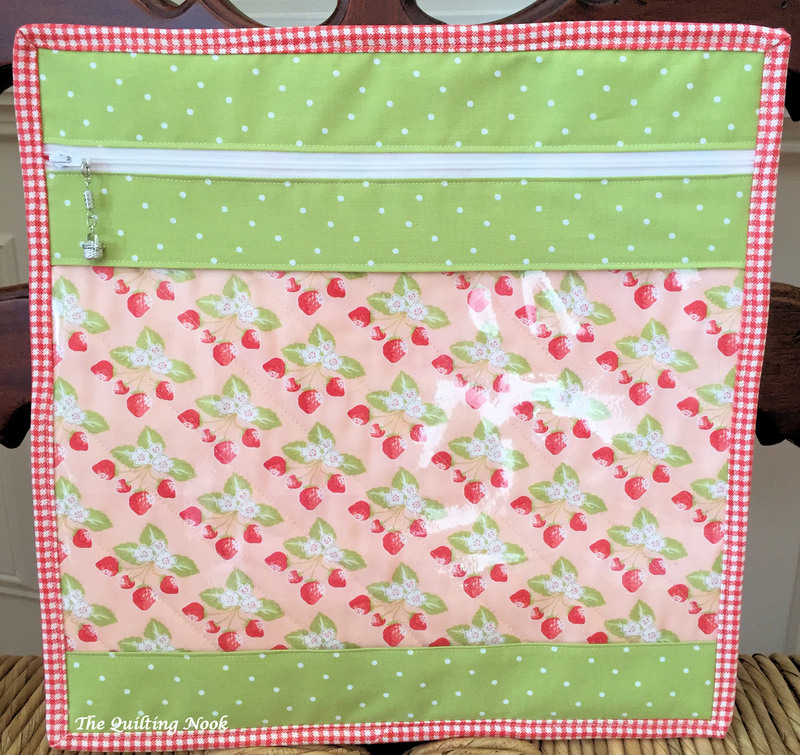 This entry was posted in FMQ, Foundation Paper Piecing, Free Motion Ruler Work, minis, Minis and More, New Techniques, Rulerfoot Quilting, Uncategorized and tagged FMQ, Foundation Paper Piecing, free motion quilting, minis, Minis and More, Ruler Work on Domestic Machine, rulerfoot. Bookmark the permalink. Beautiful quilt. Your quilting is beautiful.